The bad Brammall Lane news that 50 staff have been served voluntary redundancy notices, despite the signing of Blackburn striker Nick Blackman, shows both the harsh realities of football and the changing emphasis within the game. With at least 20 set to go, many clubs are slimming down, but Sheffield United are a big club with big backing, who give as much as take. Missing out on promotion will have cost them at least £3 million in solidarity payments as well as gate receipts at a ground that always raises the hairs on a visiting neutral fans neck even with 16,000 in a 32,702 capacity Cathedral. But priorities and tough decisions have to be made and the League Cup exit to Burton (4-5 on pens after a 2-2 draw) will doubtless be seen as another body blow. 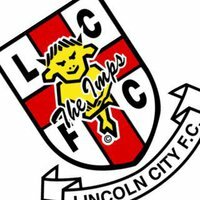 We Imps have some sympathy, particularly as they had offered to play a now cancelled friendly with us that would have netted us a massive £30,000 boost. This in the absence of any historic cup revenue means links between the Imps and the Blades, thanks to Holdsworth’s connections, are vital. Could any of the players he hopes to bring in be young Blades? Hope so! We have had to cut our cloth on and off the pitch having lost the Football League and youth team grass roots payments that now total £670,000 per year. Were it not for Chris Moyes injection, last year and this, Grant Brown would be looking for a job despite us beating Chesterfield 3-0 to win last years youth cup. We too lost staff, old friends in truth, in a cull that saw Mrs Lincoln City Fran and Matt Carmichael go. Fran is back as a gold member director – back in Bob’s favour but unpaid – after a job at Doncaster Rovers failed to come to fruition. The Blades will be one of the favourites to go up this year and STMI hope you do. Then maybe that friendly might be back on the agenda as long as the police do not intervene. Lincoln City Banter is the fastest growing voice for fans of Lincoln City Football Club. Based on Facebook the thriving community has 961 real members that post under their own names. Lincoln City Banter is also a proud sponsor of club Captain Josh Gowling home shirt Jamie Taylor’s away shirt and Ali Fuseini pretty much mint condition boots for 2011/2012 season. Lincoln will be playing Blue Square Premier Football next season after Hayes lost 1-3 at home to Mansfield. They can still overhaul Telford, who lost 2-3 at Ebbsfleet and Newport County, who drew 1-1 at York City; but only if both fail to win a single game in their remaining fixtures. Hayes & Yeading now sit on 38 points, so even two wins would only net them 42 points. With Telford already on 42 points and Newport on 43, just one point and two points respectively will be enough. Although things are not mathematically impossible tonight Hayes minus 32 goal difference is also against them. Here are the results from today’s games to gloat over. We can rest easy for now but you get the feeling that we cannot afford to be complacent given crowds are around the two thousand mark and the board by its own admission fears the looming shortfall of at least £150,000 pounds. Lose this one and we will be clutching at straws, hoping that Portsmouth FC, are indeed allowed to restart in the Conference. Unfair perhaps, but with Darlington and Kettering also teetering on financial collapse, the likelihood is that just three will go down from the BSP this year. Pompey and Lincoln both have fantastic fans who have been through the mill of late, let down by those entrusted as custodians of local institutions. Both clubs enjoy fan loyalty that sees non-stop singing throughout a game where standing in front of your seat is seen as a small price to pay for atmosphere. That is as part and parcel of the people’s game as the forging of the father / son bond and right of passage. A Pompey visit would always be a massive financial boost and perhaps welcomed more by us next season, although we would take a thousand there and add to the day. But let us not count our chickens just yet, even if Butterfly Poultry benefactor Bob Dorrian’s financial intervention may well have saved us from our own financial disaster. Then again back to back relegations would suggest otherwise, a flight of fantasy, or the dreaded pheonix rising from the admin ashes. Portsmouth are not the only club with pride plus potential and they could yet share an historic parallel with our good selves. The Imps know what it is like to fall from the old second Division just as Pompey will do this year should their horrific sums not add up. We did it in the sixties after a glorious period in our history that saw us rub shoulders with the big boys even though we still lacked a chairman to put the cash in. The trouble is few in charge can or perhaps want to see it. The disenchanted fans do, albeit far too many from their armchairs, yet 8,000 saw us fall from the League and regular 5,000 crowds are prepared to see a side challenge and fail for the League two play-offs – this remember is the old Fourth Division. The pitiful propaganda on the official site and elsewhere , is wearing thin and we cannot expect Bob to keep pitching in. Ex club employee and now Trust spokesman Paul Kenton – the man responsible for the unfulfilled ‘The Club is the Hub’ funding – admitted the Trust Day had enticed just 13 new members (me included) but felt an initiative to incorperate the membership back in with the season tickets to be the way forward. Hardly proactive as ever is it from an organisation that has sold us and John Reames share gift out? Clearly a change of face(s) is needed at a closed shop so that we too can have a chance to rise again. This has to start on the pitch today where it is time for the Imps to shake off the Wimps tag and buy the club time. Lose today and we will certainly be clutching at straws or worse still looking at a Phoenix club scenario of our own – AFC Lincoln City – unless the football authorities set an example almost as poor as those in charge at our own. Former Grimsby Town star Peter Bore can and must start to show his quality, beginning with the vital away game at Bath City tomorrow. On his day the versatile right sided player is unplayable in either the flying full-back or out-right winger role. Yet since David Holdsworth rescued him from Conference North side Harrogate, managed by Ex-Imp Simon Weaver Peter, he has failed to offer more than a rare glimpse of his extraordinary talent for the struggling Imps. Peter undoubtedly has two obstacles to overcome. Firstly he has to get his full fitness back. Having turned down a new deal at the Mariners, his ambitious plans to play higher up the football pyramid failed first at AFC Bournemouth and then at big spending Shrewsbury, as both trials came to nothing. He was then forced to go part-time at Harrogate, just one division below ourselves, but in reality worlds apart. Peter’s second and most telling test will be to win over the Imps fans. Just as a leopard cannot change its spots, few have the patience and will to see someone change from black and white to red and white stripes. However Peter has the mental strength and quality to overcome the doubters now that his fitness levels are rising rapidly. If he can help to keep us up, with a pre-season fitness regime behind him, he will be one of those who can take us forward. 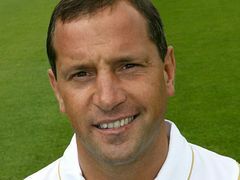 Is Holdsworth Just Steve Tilson or Chris Sutton In Disguise? Holdsworth was a hero at Sheffield United, Steve Tilson was the Siren at Southend United and Chris Sutton had the contacts at Blackburn, Aston Villa and Fulham. They all bought the ticket yet none got the luck you need for the lottery win needed to lift Lincoln City. Everyone gets excited when they hear the word roll-over, however this is not the national Lottery but Lincoln City, where our side rolled over and played dead again against Alfreton Town yesterday. We are also looking at the prospect of a second successive relegation under a manager who has shorter straws than the 13th apostle. Its time to pick up the pieces and see if the jigsaw can indeed fit together as yet another manager struggles to turn the tide. Chris Sutton, questioned the committee decision making style at Sincil Bank and Tilson bemoaned his budget for this season. We fans are chastised for being quick to criticise the board for the managers they have chosen yet, all of them Jacko and Schoey included have had the freedom or backing that they needed. Yes we can always find an extra few quid to fund a loan yet the budget itself has never been supported by the board dipping into their pockets until Bob found himself in the wrong place at the wrong time. Championship facilities and The Club is the Hub was put before the Team. Bottom line we failed in all three instances. The Board felt the club needed to fund itself, whilst the Trust did not see fund raising as within their remit. Short arms, deep pockets and a lack of vision that saw a resurgent City pass its football club by. What does come across with David Holdsworth is his honesty, integrity and work ethic, three things much maligned in a contemporary society that uses spin to suit its short-term needs. But football and STMI are not the place for social science and conspiracy theories, as our club continues to hurtle towards oblivion. Then again the confidentiality clause in any pay-off ensures what really goes on at a football club stays hidden. Now Holdsworth, for all his limitations, does indeed have a fantastic work ethic. But like all the managers who are silly enough to take the Sincil Bank hot-seat he quickly realises that perception is nothing like reality with the Imps. But in a wider climate of austerity he must prove to be efficient. He has to work with players who will accept Blue Square North wages, in his own words less in some cases than Tesco, so he must think and act smart as he sorts the wheat from the chaff. It is hard but that is what he must do if we are to complete a season of consolidation. You dress smart David but can you think and act smart? As our current form begins to resemble that under Steve Tilson – a three day a week man at best, (don’t be too harsh the previous CEO had external priorities at a key period in the clubs fall from grace) let us look at the form going into the business end of another season of turmoil. We have also included Sutton’s stats for August and September in the table, his tenure ceased on 29th September..
Few would compare David Holdsworth with Graham Taylor, who would use his achievement at Lincoln as a springboard to greatness via Watford, England et al. But GT – the enticer – was a slow starter at the Imps who failed to win in his first 12 games, before slowing rebuilding an ageing team. He would go on to narrowly miss promotion in 1975, before the record breaking promotion season of 1975-76. Incredibly he told Elton John he could take them to the First Division on a million, but did it for just over half of that. Oracle of optimism, dons his rose tinted specs and Champions the cause of our new manager. Here are a few pertinent manager records to kick off with, Holdsworth’s GT’s and of course Tilson and Sutton’s that many, the current regime included, blame for our recent demise. Although Sutton and Tilson were poor choices Holdsworth, a self proclaimed deciple of Taylor’s teachings, could yet be three times a charm for Bob Dorrian. He needs to be for all our sakes. Now I am not going to try to kid anyone that the garden is rosy. We need 9 points from the next 12, with a result against Stockport the game after. The Alfreton game has to be a watershed or we will be looking at dropping to little more than pub football where a bit of cash and ambition will be needed fast or we will die. Holdsworth and the team he is trying to fashion need our support today like never before, because these draws are of little use when you are playing and scrapping for lifeboats with teams desperate not to fall into the abyss. If we do not halt the slide today we could be looking at another disastrous run like that under Tilson’s stewardship last season. That said contrary to opinion, Holdsworth and Bob do seem to be trying to fund and pick a settled side, who just need a break to get into the groove. The fire-power up front with Pacquette and Louis just needs feeding with the new beast of the Bank – Mark McCammon – getting off to a flyer albeit as a late cameo in the Stags defeat. We have not had the luck with injuries either, which along with the January signings gives the impression we are signing players for fun. Yes he is after another defender – although that has been the case for four weeks – but the mistakes in personell have largely been cheep ones aimed at a short-term solution. The mission has and always will be survival this season with today a massive step. Indeed the word is that a defeat today will signal the dreaded vote of confidence from the chairman. Holdsworth, dignified as ever, is under no illusions but he just needs the break that his old mentor GT got with that 1-0 win over Darlington all those years ago. Confidence is a massive thing in football and one win could set us on a roll. For only an inspired run in can ease the burden on Bob Dorrian who will have to decide if he wishes to bail the club out again. Remember he did not want the job, then surprisingly agreed to take it and absorb the losses almost single-handedly. Will ‘Uncle Bob’ benevolently chip in to plug what is believed to be a further £150,000 black hole, whilst keeping faith with the same old faces? Or could things become far worse if the faithful continue to falter at season ticket time? The current regime has much to do to prove its worth with mistakes continuing to be made off the pitch. With the vital sponsorship and sales executive role being given to someone on the basis of them being a trusted and sympathetic ear as opposed to possessing the necessary commercial acumen and closing skills to bring in the cash; concerns over corporate governance will not go away. Because even we optimists are at a loss to continue to defend the indefensible, whilst Imps far and wide struggle to stomach this shocking demise as our club dies for our very eyes. Save The Mighty Imps indeed. Four games – Alfreton (H) Bath (A), Newport (H) and Hayes (A) seperate Lincoln City from a season of uncomfortable consolidation or scenario B – a second disastrous relegation. These four are three of our main rivals in the race to avoid dropping into the next step on what appears to be the Mighty Imps journey to oblivion. Yes the Blue Square North may only be two promotions from the football league, but in reality it is unthinkable. Lincoln’s shocking demise becomes more apparent as each game passes. We the fans are punch drunk. The actions on the field and off it have meant levels of faith-keeping that would test the Saints. Yet here we are bracing ourselves for a vital home game against Alfreton, who are one place above the relegation places. Lose it and Alfreton will be one point behind us with a game in hand. Telford are one place below us now, level on points and goal difference, but goals scored saved us from alphabetical order adding to our shame. The Imps have failed to win in five with 3 draws and two defeats. Prior to that a 2-0 win over Southport had broken a run of four successive defeats. So we can argue we are improving but we have lost to rivals Kettering and drawn against Telford, two of those below us, with the other draw against Braintree and Kidderminster. Simply put we need to get down to Sincil Bank in numbers on Saturday to rally the team on. Because we do not want to lose at home and then have to go to Bath who we simply have to be – they are bottom and 7 points adrift – before coming home to the Bank to play Newport who appear to have climbed away from danger. Hayes is another must win. So a win on Saturday followed by another over Bath and we can start smiling with the pressure off against Newport. Win that and we will then just have second bottom Hayes to overcome. Job done and we can enjoy our Easter eggs with a tasty portion of Lamb at Easter as Tamworth visit. The days of freethinking and alternative opinions continue to be numbered at anything but Community Club Lincoln City as the Supporters Trust again cave in to the whims of what many fear is a ‘Cabal’ – including ex Chris Travers who went public on BBC radio Lincolnshire last week. Keith Roe, has been painted as many things, by a select few in and around LCFC, since he and Ray Trew, now lavishing his wealth at Notts County of course; attempted to steer our ever faltering club. Belittled on message boards and denied the chance to even watch his lifelong love due to an incredulous ban from the Bank he will now be unable to attend the Lincoln City Supporters Trust in the Trust Suite. His crime? Keith has just asked questions of those entrusted with our club, who now peer down at us from behind those ivory towered walls chez Lincoln City Holdings Limited. Guarded by legal mercenaries who cross the I’s and dot the T’s the pen is indeed now mightier than the sword. Long gone are the days when our Supporters Trust truly stood up for those who marched to save our club. We fans, young or old do not have a say do we? If only our elected champion and board member David Beck would help. Lincoln City are set to unleash at least 3 of the fantastic four from the start at Kidderminster Harriers with either Blackpool FC hot shot Louis Almond or ex Bradford City protégé Nialle Rodney given the nod. Hot off the heals of a 3-3 thriller against Braintree Town, the Imps meet Kidderminster who have themselves enjoyed a 5-4 up and under against the self proclaimed pub side from Essex. That is not so much a criticism of the Iron, who have enjoyed a meteoric rise over the last decade. You have to admire their spirit, having switched from the Southern League in 1996 to avoid the travelling, the FA, in their infinite wisdom, put them into Div 3 of the Isthmian League. Two successive promotions were followed by three years of consolidation in the Premier prior to a championship that saw promotion to the Conference South in 2005/6. Like ourselves they felt the sharp end of the play-off system, losing to Salisbury City in the final and then Eastbourne Borough in the semi-finals the following season. Last season they made it third time lucky, although this time they went one better claiming another Championship. So back to the high flying Harriers who will pose a very different threat. They too are on a roll with players who can hurt us, but they will not have the adrenalin rush that seems to be behind Braintree, a side who never know they are beat. That is not to say Steve Burr’s managerial motivational talents are not on a par with Alan devonshires, but more the make up of a side that we are better equipped to compensate for. Braintree also strained every sinew and saw us as a cup final, Kidderminster meanwhile, will see us as just another 3 points as they professionally move into the business end of the season. Professionalism is Holdsworth’s middle name. Despite having to do it largely alone, he prepares better for a game than our last three managers, employing stats, reports and charts as against Jacko and Tilson, in particular, who were ones for big speeches before a game. Once the players get on the pitch it can be in the lap of the gods, with a hasty plan B more often than not too late to change a game. The first goal counts for a lot, just as the first challenge can be psychologically so important against your opposite man. This has set tireless Tyrone up for the duration since he joined and it was so good to see the unselfish heart of our engine room get on the score sheet on Tuesday. But it is offensive side of the Imps that excites at the moment. Pacquette, Louis and Almond have already opened their accounts and Rodney will not be far behind given a chance he can take with both hands, his head or both feet. Disappointed we may be with the 3-3 on Tuesday, but that is nothing to the disbelief in the dressing room post Braintree at the Bank. No divisions, no moaning just a desire to collectively get things right this Saturday. The bond is certainly there, but so is the belief that we can give anyone a game, borne of the quality and competition for places up front from a fantastic four who all expect to score. So a better defensive performance should see the Imps earn all 3 points at the Harriers to dent their play-off aspirations and get Holdsworth’s Imps up and running. Impdom expects – stoke the boiler blow the whistle and lets get the Lincoln Loco moving.